A warm Mediterranean climate with blue skies and even bluer waters is a picture many of us associate with Italy. However, bordering Switzerland’s mountainous terrain, this perception can be somewhat interchangeable in Northern Italy; though, no less beautiful. In light of this, it’s important to give careful consideration of which items to pack outside of the Summer & Winter seasons. Find out what to wear in Northern Italy in September/October using this handy AW18 packing guide. I always find packing guides so useful as I’m definitely known for packing way too much! 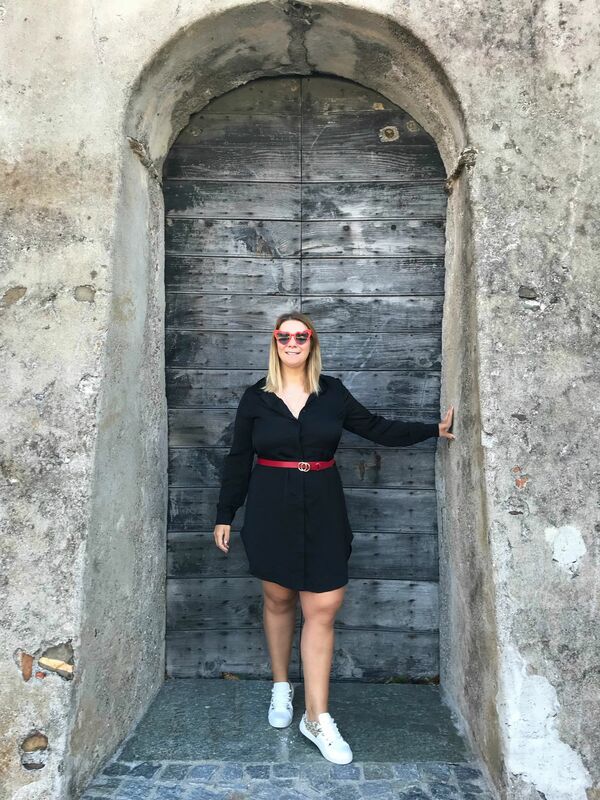 Guides such this one: What to Wear in Rome by Season are lifesavers for me as it really enables me to sort through my clothes prior to a trip so I know exactly what to pack! Whilst, I will often alternate my own items of clothing for various trips, I wanted to incorporate the latest styles for Autumn/Winter 2018 as part of my travel packing list to Lake Maggiore on the Italian Lakes. 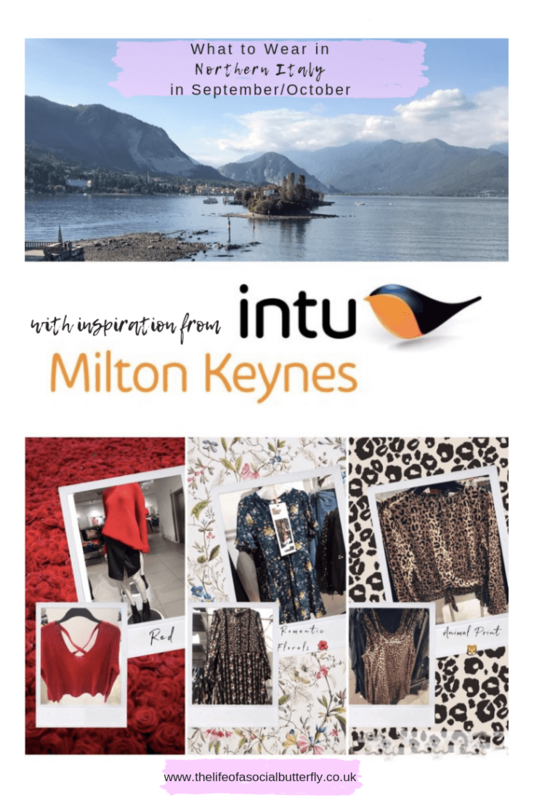 I was invited to my local intu Milton Keynes to check out this season’s styles and select some of my top picks. 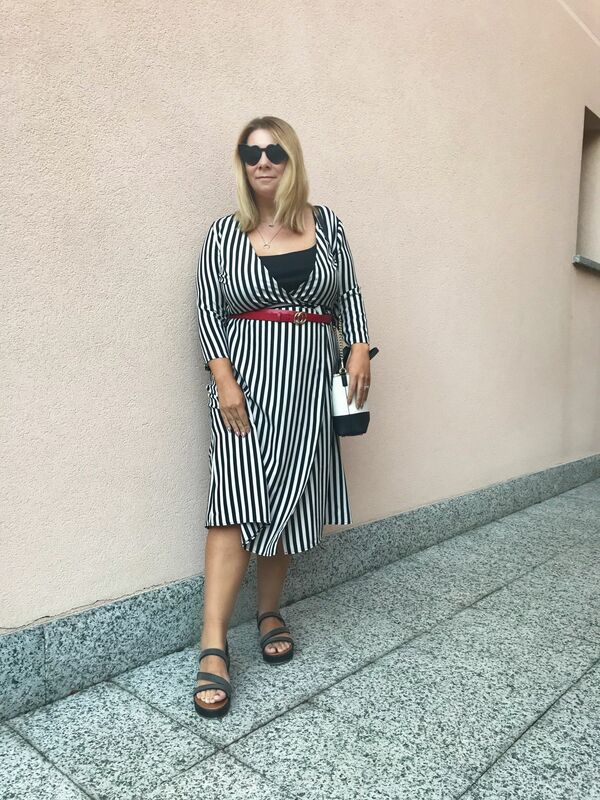 Italians are known for their chic, classic styling and with this in mind, knowing what to wear in Northern Italy in September/October, in particular, can prove quite troublesome! 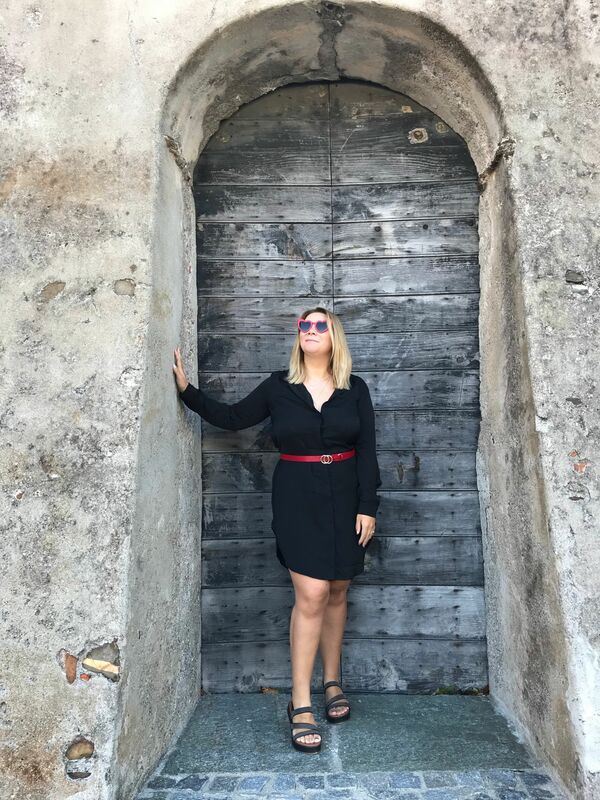 Taking on board Italian classic style and the popularity of the colour red (one of AW18’s most popular colours) I picked out the black shirt dress and red belt, both from H&M. The simplicity of the black shirt dress and lightweight material makes this a staple item and, not just for a holiday either. 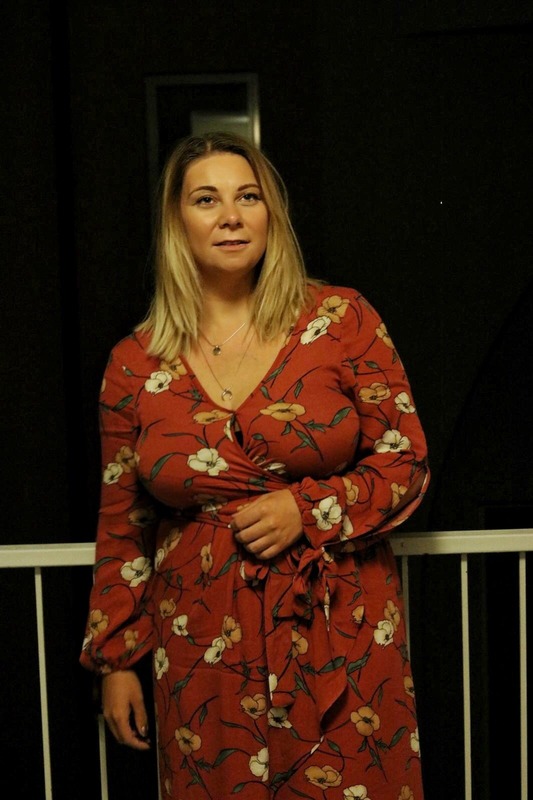 In Italy, I wore it with bare legs and sandals, though on colder days I could just as easily wear it with a belted cardigan, tights and boots. The red belt gives the black dress a bright pop of colour as well as cinches in the waist to shape my curves. This is an affordable chic outfit to wear in Italy, a bargain at £25.99 for the shirt dress and belt. In case you have been hiding under a rock, you cannot escape the fact that animal print is everywhere this season. If you remember how popular the Prince of Wales check print was for AW17, for AW18 animal print is it! As the hottest print of the season, there are various ways you can style animal print into your wardrobe without looking like Kat Slater from Eastenders. There are numerous clothing items in animal print style from dresses to shoes. In fact, many retailers such as Oasis also incorporate the red shade into their animal print collection. 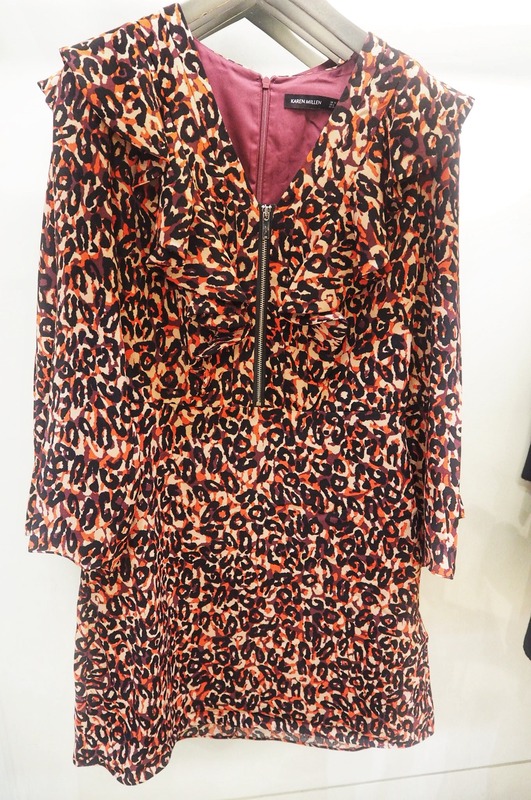 In Karen Millen, you will find animal print is styled with a raspberry pink. 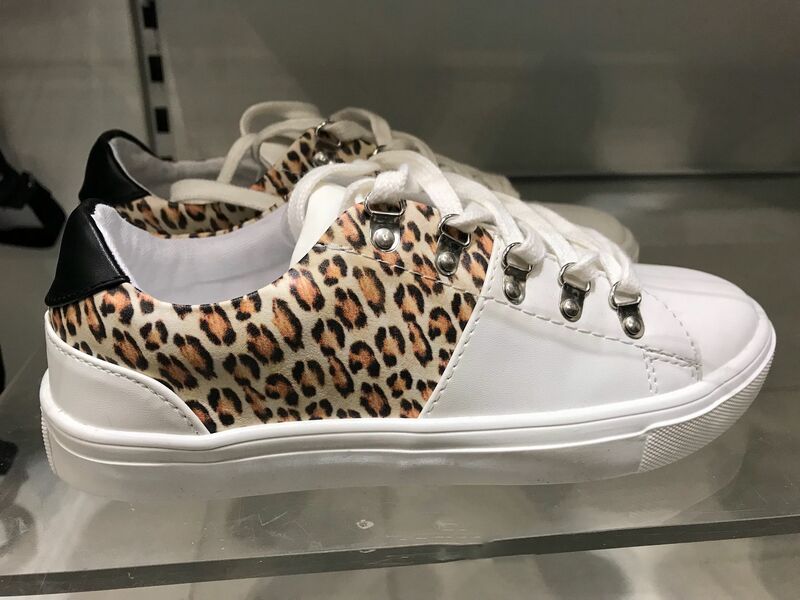 I picked up these white trainers with animal print detail from New Look. Not only do they incorporate the animal print trend into my original look, but the trainers are also really comfortable too. A subtle way of styling animal print into your wardrobe can be done by tying a scarf in your hair or to your handbag. 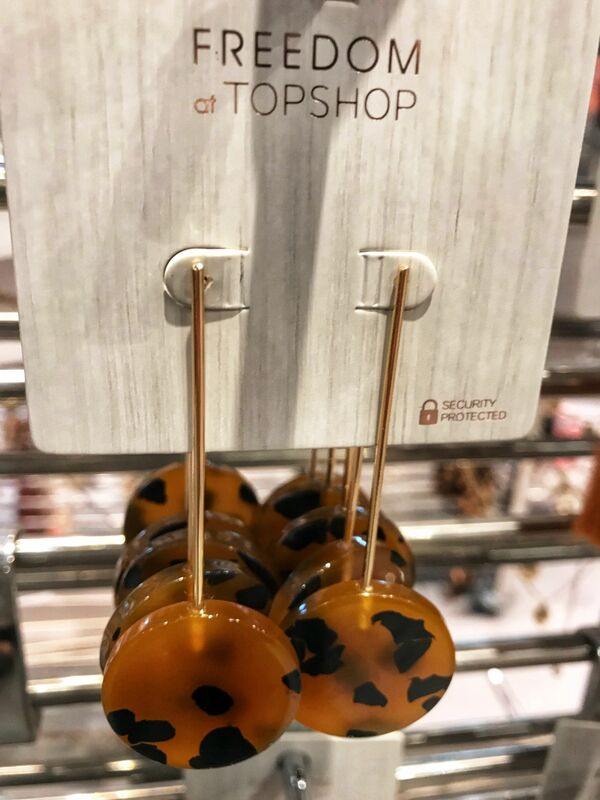 Topshop have a great selection of scarves as well as earrings with animal print detail. My favourite animal print item has to be this lilac leopard print dress from New Look. Animal print is a pattern I find doesn’t always suit me in the usual shade, though I love the shade of this midi-length dress. It certainly wasn’t an option I’d thought about when I’d initially wondered what to wear in Northern Italy in September. Not only does this dress feel comfortable to wear, but I also felt pretty wearing it. Without a doubt, one of my favourites from the new season collection at New Look. The length is also ideal to give extra coverage for some of the chillier evenings in Italy. Similarly to red, florals are popular for another year of Autumn/Winter styling. Ahead of the game with this budding trend are Oasis, who have teamed up with Lifestyle Vlogger Niomi Smart for their AW18 campaign. 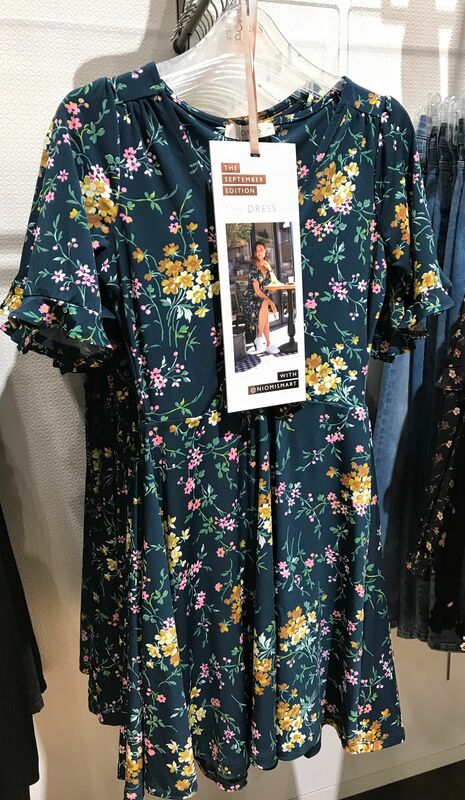 H&M give their florals a romantic feel and Topshop up the colour stakes with their floral pop picks. I incorporated this style into my Italy wardrobe with this H! by Henry Holland dress from Debenhams. I’ve always been a fan of Henry Holland’s bold designs, having previously enjoyed his Fashion in Motion event; a decade of House of Holland’s most iconic styles and pop-up launch party. Whilst this is not a new item, similar styles are available this season on the high street. Polkadots & Pinstripes have been popular all year round in 2018 and this has not changed for AW18. Many of the pinstripe styles have been incorporated into AW18’s sports luxe trend. 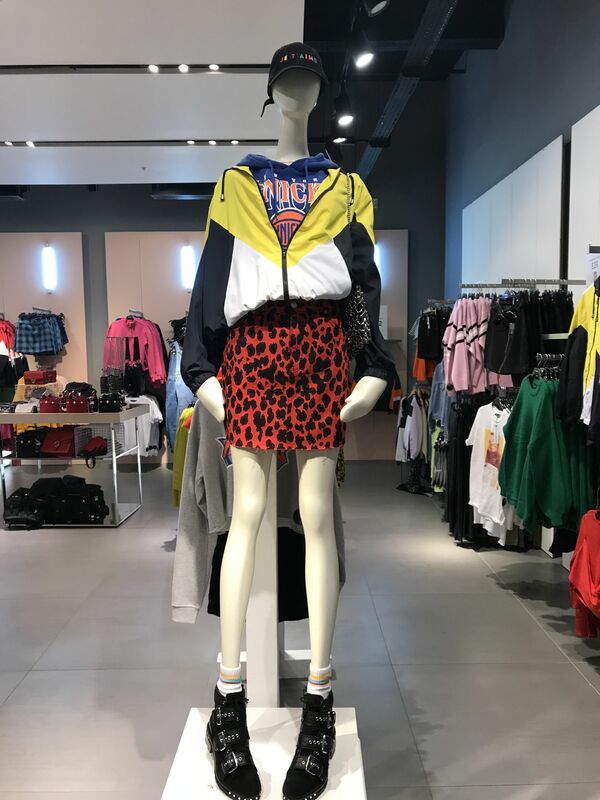 Whilst you may be thinking sports luxe is not a trend you would think to wear in Northern Italy, think again when you see these styles. 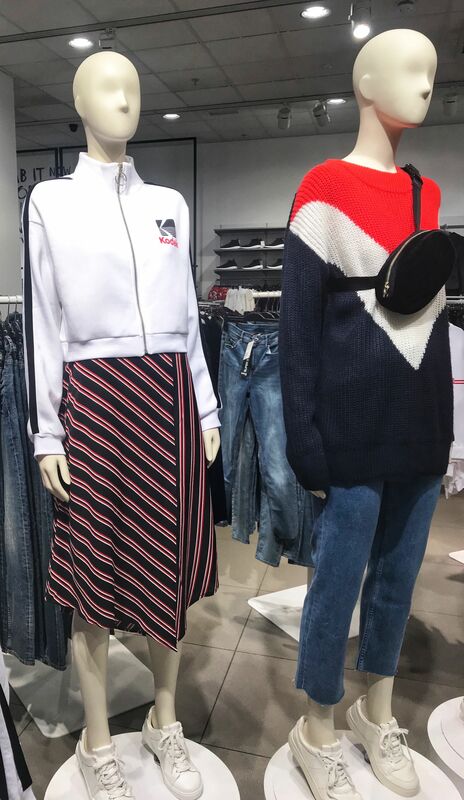 I particularly like the contrast stripe skirt below from H&M. For the stripe addition to my Italy wardrobe, I wore this black and white pinstripe dress from Miss Selfridge. Again, I love the midi length and the v-neck crossover detail as it compliments my large bust and cinches me in at the waist. The skirt shown below looks polkadot in the pictures below but it’s more smudges rather than dots. This was a bargain at £14 in the Next sale (not from intu MK) and I loved it so much that I’d bought it in a size 16 and 14. Whilst I wore the 16 during the summer months, I was really chuffed that the 14 was a better fit for my trip to Italy! I wonder if that has since changed after all the carbs (pizza and pasta) I consumed! 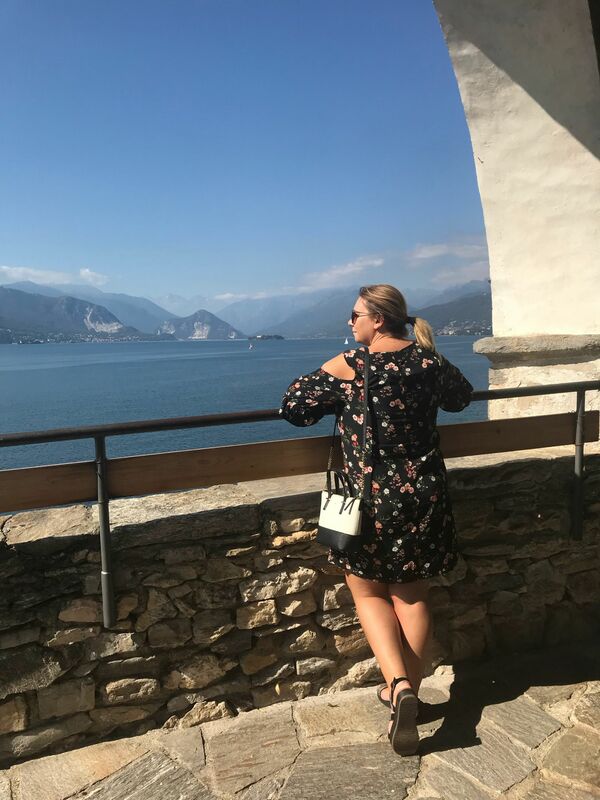 As you can see from my pictures, dresses formed a big part of my Italy packing list for my trip in September and I was pleased the weather was mild. 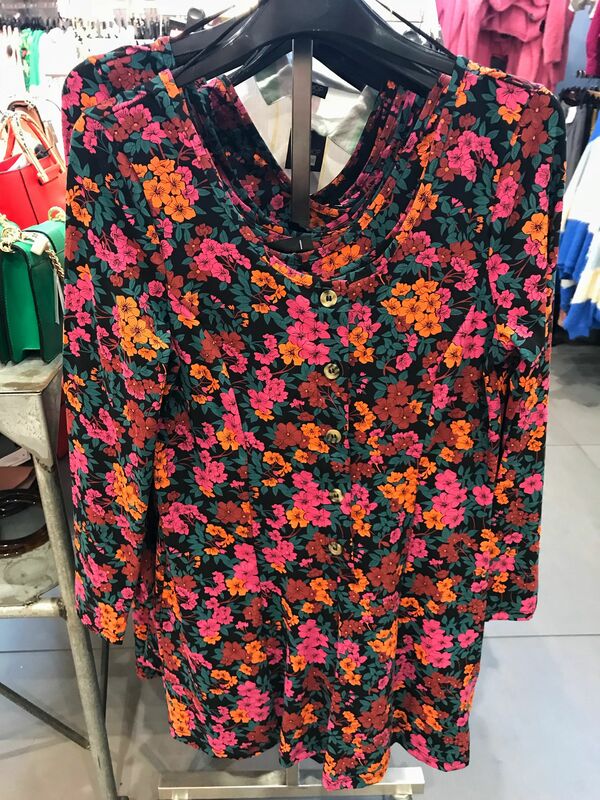 In keeping with Autumn colours, I picked up this dress at the bargain price of £12 in the New Look sale and I can see me wearing this with a warm cardigan and boots during October. Though the dresses were a big hit, the nights do get chilly and it’s worthwhile taking a jacket with you for colder nights and mountain walks. Come Autumn/Winter my choice of coat is always a trench coat as I find it such a light transitional item to wear. However, as I only took hand-luggage, a denim jacket came in handy as it took up less space in my case. Topshop always have a great selection of denim jackets and would be one of my first ports of call when browsing the styles at intu. 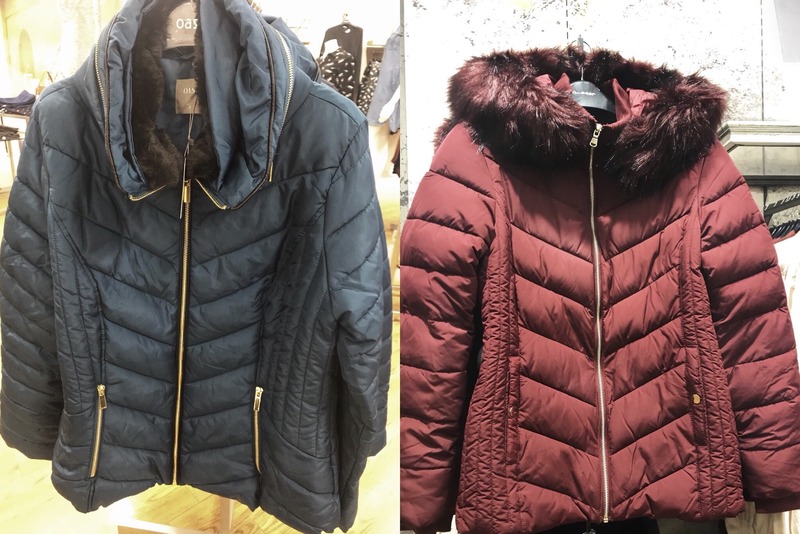 Puffa-style jackets are hugely popular for AW18 and I found these styles in almost all the shops at intu. Thin material and lightweight jackets that are wind and waterproof will always be a big hit for me. I loved the colours and choice available at intu Milton Keynes. They are much thinner than they look and as the days are getting chillier, they may be great jackets to wear in Northern Italy in October. As I mentioned, the weather in the Italian Lakes situated in Northern Italy can be a bit temperamental in comparison to Southern Italy, hence this what to wear in Northern Italy in September/October post. Therefore, it is worthwhile taking along closed shoes, a scarf and a waterproof coat during September and October. I also had two pairs of wide-legged trousers, which were comfortable to wear during the flights to and from Italy. That’s not to say you can’t still enjoy the milder weather by taking along a swimsuit! They’ll be more on this in my what to do in Lake Maggiore guides to follow. 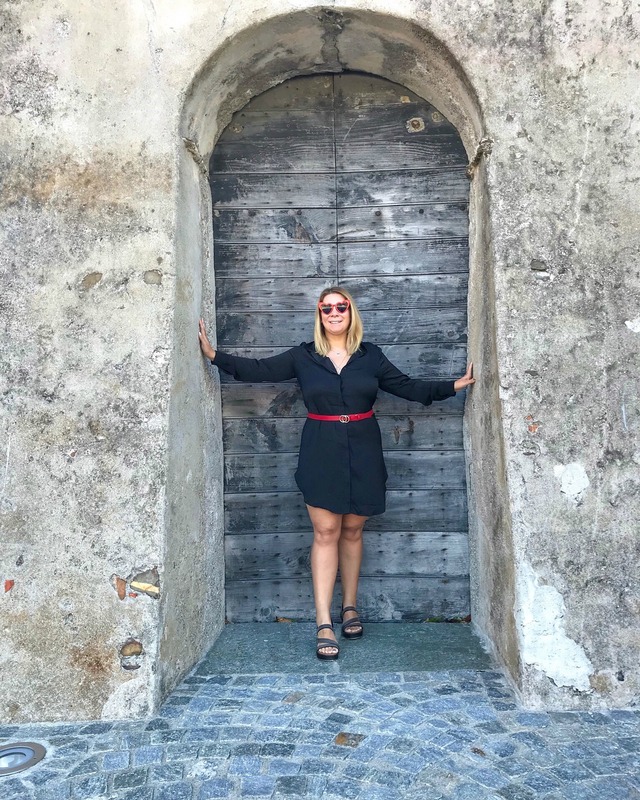 I hope this has given you insight about what to wear in Northern Italy in September/October. If anything, the weather was milder than I had expected. 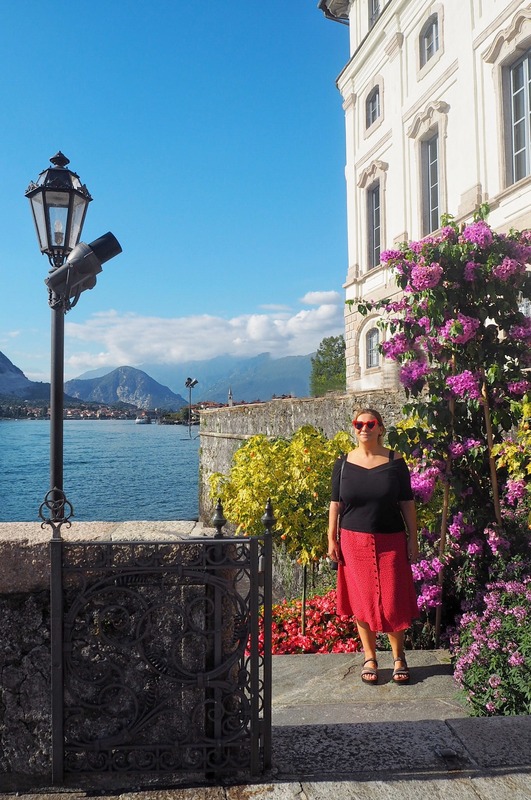 Though, it’s always important to get an idea of what to pack, particularly if you have limited space in your hand luggage as I did during my trip to Lake Maggiore in the Italian Lakes. I will be sharing all about my trip with Bookings For You in upcoming posts! Click here to read my other style posts in collaboration with intu Milton Keynes. P.s. Special thanks to fashion bloggers Violet & Charl for helping me relax and build my confidence to shoot these pictures! I love the leopard! Love the outfits. Sooo loving animal print lately! Looking fabulous! Ooh I think we had the same challenge eh? You did a great job, I love your picks! I think the Niomi Smart dress is my favourite but the black dress and red belt is such a classic combo! These picks are perfect! I am living for that black dress with the red belt! YOU look amazing, Jaz! I must say I am envious that you are enjoying such beautiful weather, it’s cold and wet on my side.